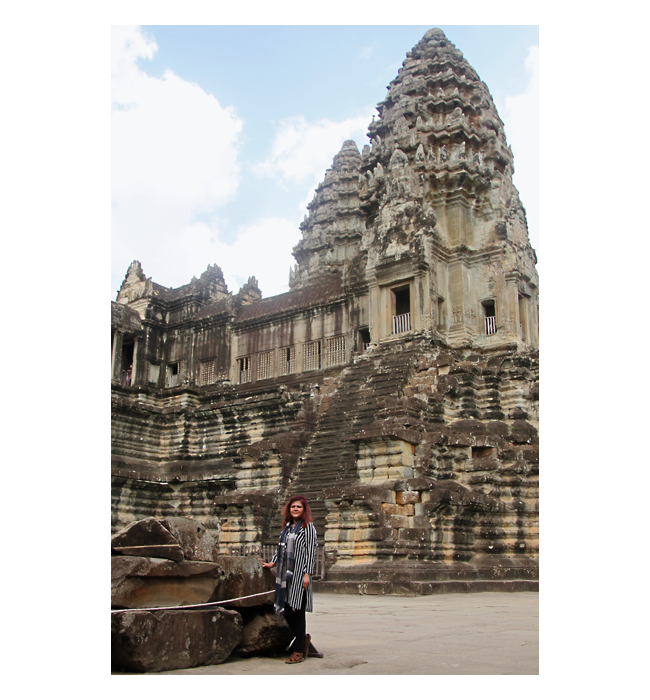 In this image, I am hiding somewhere in front of the principal sanctuary of Angkor Wat –- known as Bakan. Then, we climbed those steep steps. Image courtesy of my talented sister Punam Sinha. Angkor Wat was the main reason, why I wanted to go to Cambodia. It is a well know World Heritage Site. ANGKOR WAT - UNESCO World Heritage Site [WHS], as part of Angkor Archaeological Park, listed as WHS in 1992. Creator: started by Suryavarman II; completed by Jayavarman VII. Sanctum: Vishnu temple. Later Buddhist temple. 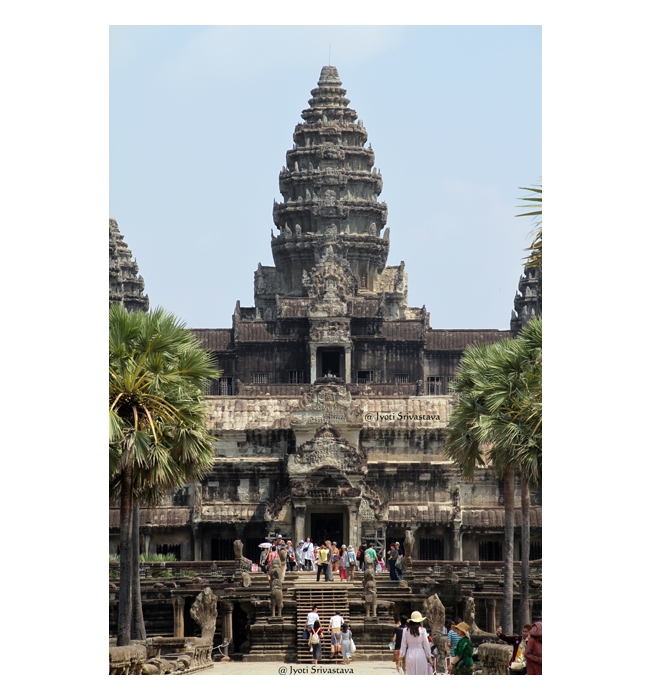 The modern name, Angkor Wat, means "Temple City" or "City of Temples." 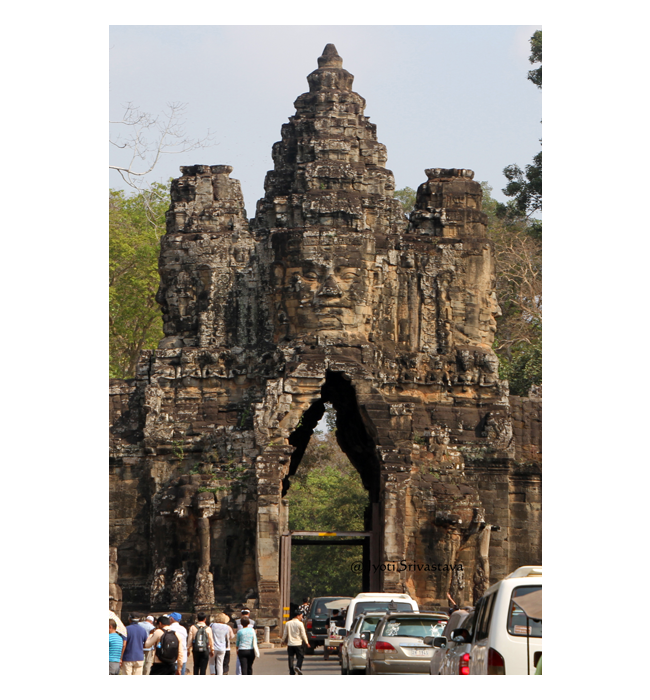 GATES of ANGKOR THOM - UNESCO World Heritage Site [WHS], as part of Angkor Archaeological Park, listed as WHS in 1992. Location: Siem Reap, Cambodia/ North of Angkor Wat temple. Built: Late 12th century AD. Giant faces of gods [devas] and demons [asuras] protect the city. A 100 meters wide moat surrounded the outside of the wall. BAYON - - UNESCO World Heritage Site [WHS], as part of Angkor Archaeological Park, listed as WHS in 1992. Location: Bayon Temple is in the center of the walled city of Angkor Thom. Siem Reap, Cambodia. Built: Late 12th century and early 13th century. Bayon is in the center of Angkor Thom. 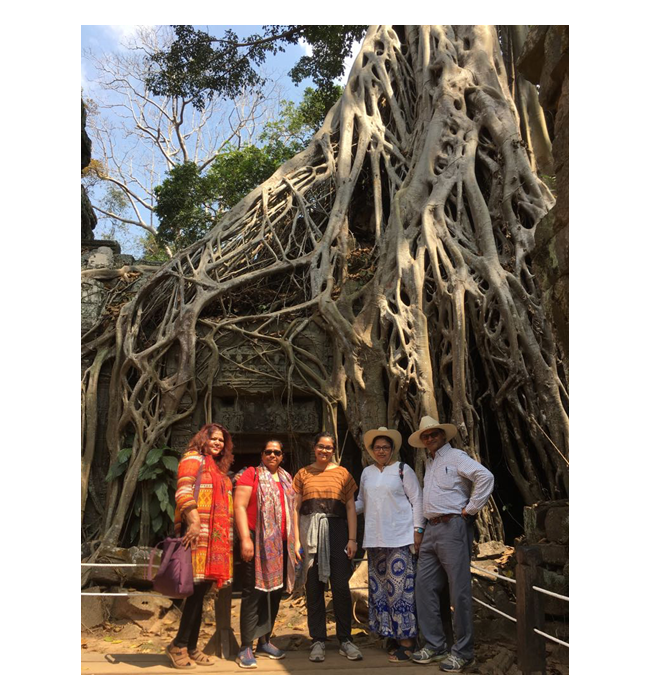 2018 Vacation: Cambodia / Siem Reap / Royal Terraces – Terrace of the Elephants [Angkor Thom] / UNESCO World Heritage Site. TA PROHM - UNESCO World Heritage Site [WHS], as part of Angkor Archaeological Park, listed as WHS in 1992. 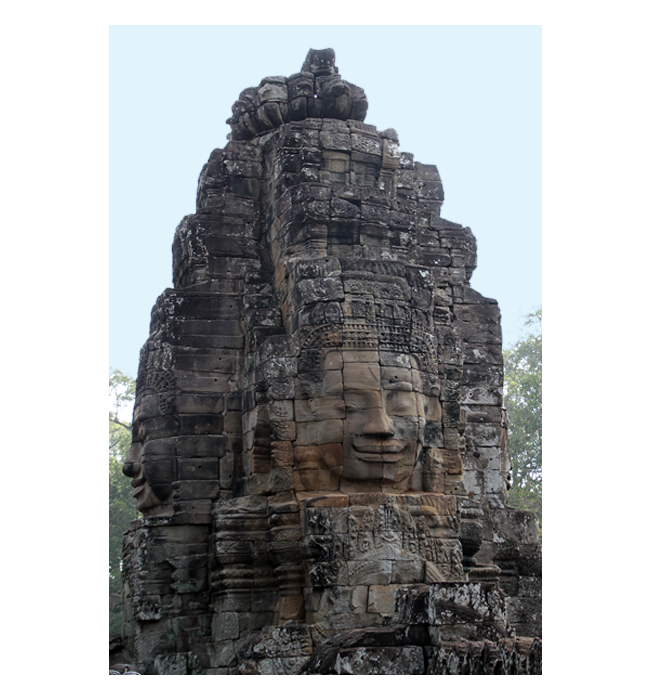 Located approximately one kilometre east of Angkor Thom. Built: Late 12th and early 13th centuries. 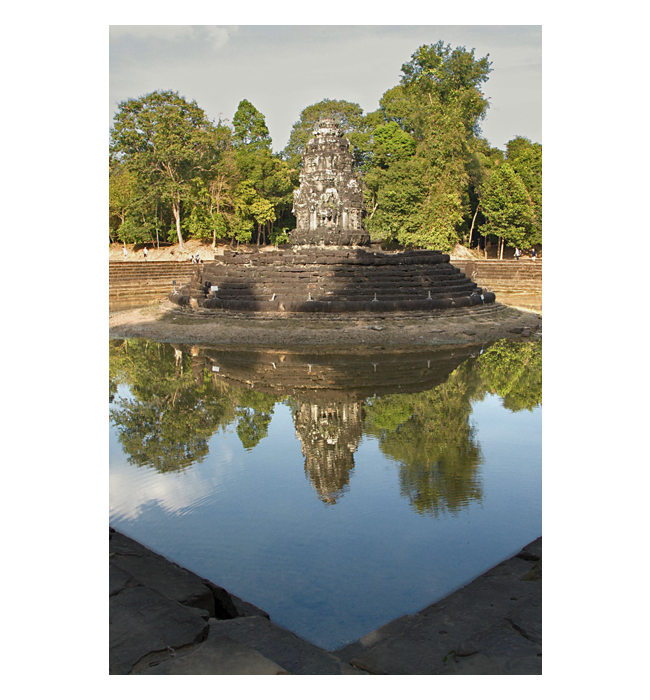 The temple is dedicated to the mother of Jayavarman VII. 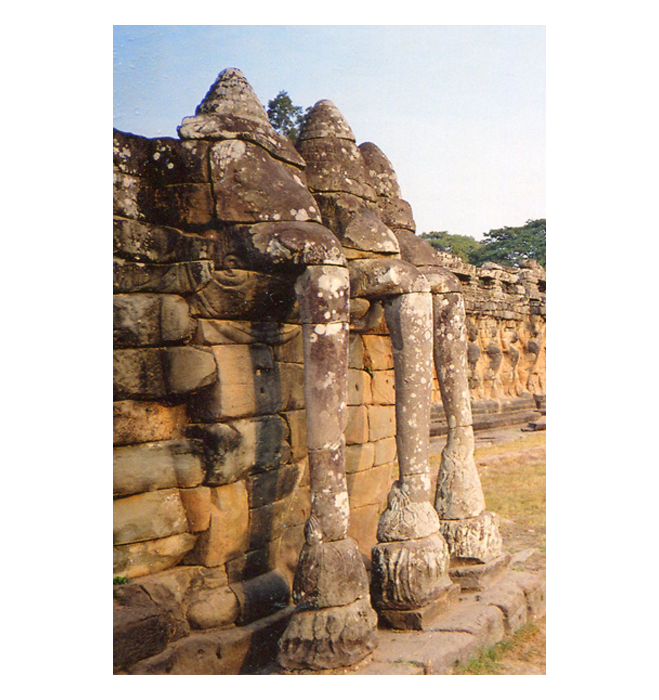 PREAH KHAN - UNESCO World Heritage Site [WHS], as part of Angkor Archaeological Park, listed as WHS in 1992. Location: Northeast of Angkor Thom and west of Jayatataka baray. Sanctum: Buddha / Bodhisattva Avalokiteśvara. 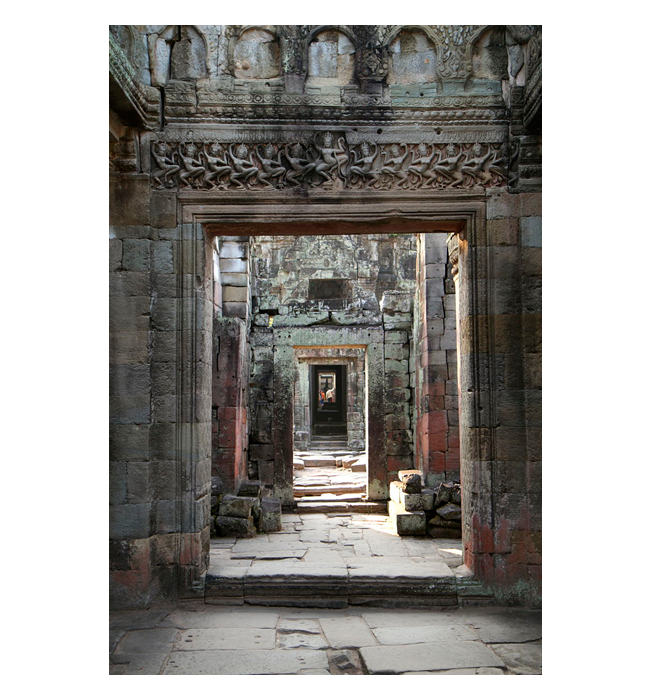 The temple was built on the site of Jayavarman VII's victory over the invading Chams in 1191. NEAK PEAN -UNESCO World Heritage Site [WHS], as part of Angkor Archaeological Park, listed as WHS in 1992. Location: circular island in Jayatataka Baray, which was associated with Preah Khan temple. 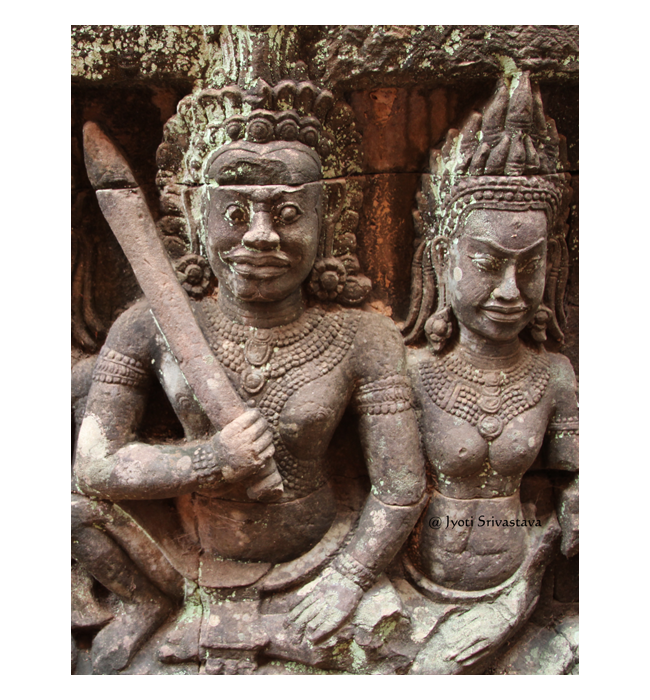 Neak Pean means the "entwined serpents." BANTEAY SRIE - - UNESCO World Heritage Site [WHS], as part of Angkor Archaeological Park, listed as WHS in 1992. 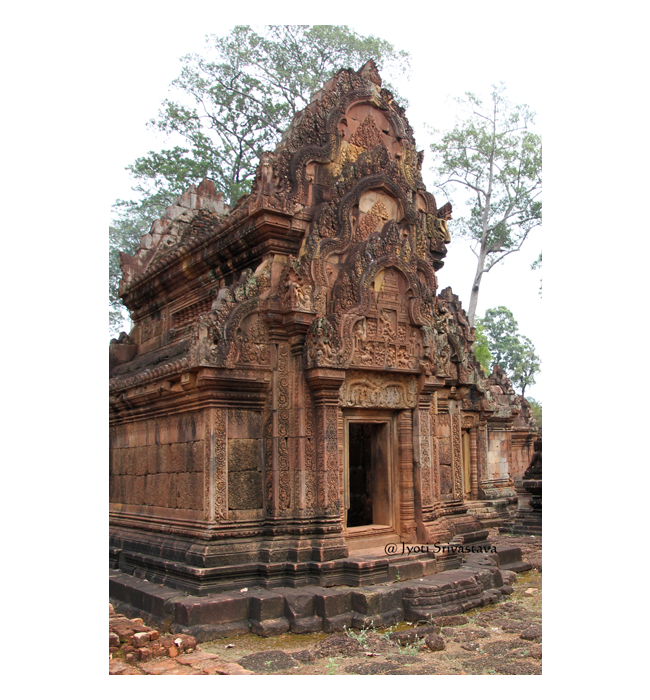 The temple is said to be the "Jewel of Khmer Art."